Pencil control is a huge part of handwriting legibility. 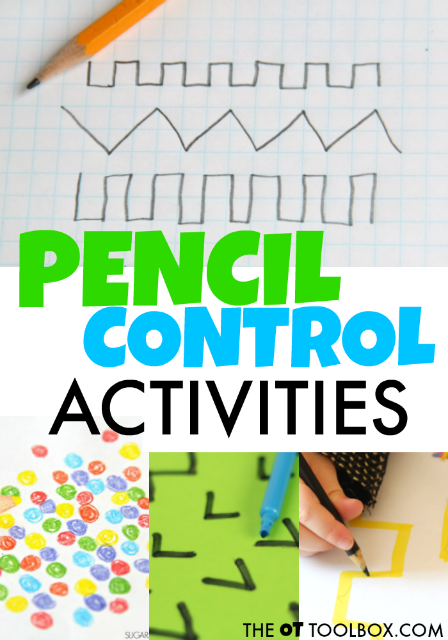 Holding the pencil, manipulating it within the hand, efficiently and effectively stopping and starting on lines, forming letters with turns in direction, and managing minute pencil strokes within a given writing space all require pencil control. 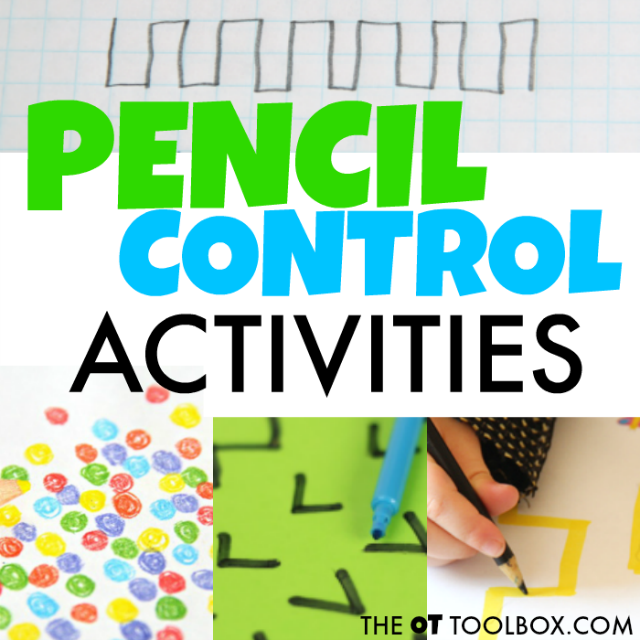 These handwriting activities are all dedicated to improving pencil control needed for improved legibility. Improving pencil control will allow a student to consistently write legibly even when required to write at faster writing speeds. Be sure to stop back to this page often, as more pencil control activities will be added soon.